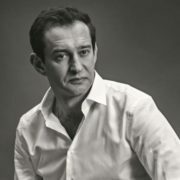 Konstantin Khabensky is a Russian actor best known in the West for starring in the films Night Watch and Day Watch as the lead character Anton Gorodetsky. You know, he is Honored Artist of Russia (2006) and People’s Artist of Russia (2012). 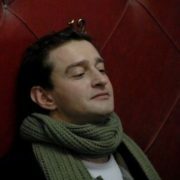 Kostya was born on January 11, 1972 in St. Petersburg. His father worked as an engineer and his mother worked as a Math teacher. 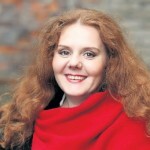 Konstantin has elder sister Natalia Khabenskaya, who is a singer. 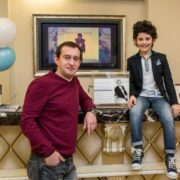 As a child, Kostya did not think about acting career. After school, he studied at the Institute of Aviation Instrumentation. And in 1990, Khabensky entered the Leningrad State Institute of Theatre, Music and Cinematography. The actor worked in the Satyricon Theatre in Moscow and the Lensovet Theatre in Saint Petersburg. Also he worked as a TV presenter. 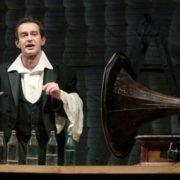 In 2002, the actor debuted at the Moscow Art Theater. He played the role of Zilov in the play Duck Hunt. Then the actor received the main roles in the White Guard and Threepenny Opera. In 1994 the actor played an episodic role in the comedy To Whom Will God Send. Then, after a 3-year break, he appeared on the screen more often. The first award Konstantin received in 2000. 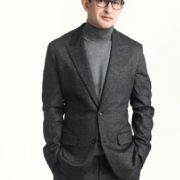 It was the nomination Best Male Role for the role of Yuri Sapozhnikov in the drama House for the Rich. Simultaneously, the actor starred in the TV series Uboynaya Sila. 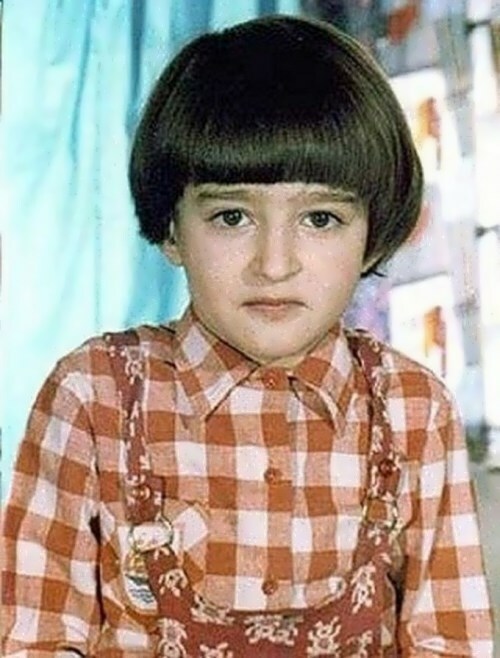 Later, the actor told that he got the role of Igor Plakhov quite unexpectedly. 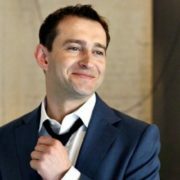 When Khabensky came to casting, he was very tired after filming, so, he stood and just smiled. Unexpectedly the director invited him to play the main role. This TV series made the actor famous. 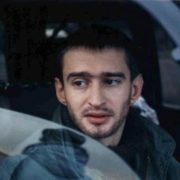 Konstantin starred in the series Empire Is Under Attack (2000), Mechanical Suite (2001), In Motion (by Philip Jankowski). 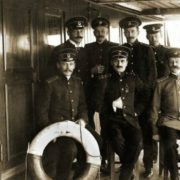 In 2004, the first Russian blockbuster Night Watch was premiered, where Khabensky played the title role of Anton Gorodetsky. 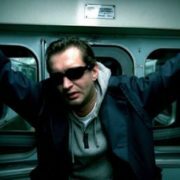 Konstantin starred in the film Rush Hour (2006, based on Jerzy Stavinsky’s novel), played the role of Alexander Kolchak in the film Admiral. Also he acted in The White Guard (2012), Black Sea (2014) and Levitan (2014). In the film Wanted, directed by Timur Bekmambetov, Khabensky played along with Hollywood stars Morgan Freeman and Angelina Jolie. Gary Oldman and Benedikt Cumberbatch were Konstantin’s partners in the film Tinker Tailor Soldier Spy, in which he got the role of a Soviet diplomat. On the set of the film World War Z the actor met with Brad Pitt. 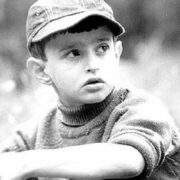 Together with Milla Jovovich and Ivan Urgant, Khabensky starred in film Lucky Trouble directed by Levan Gabriadze. 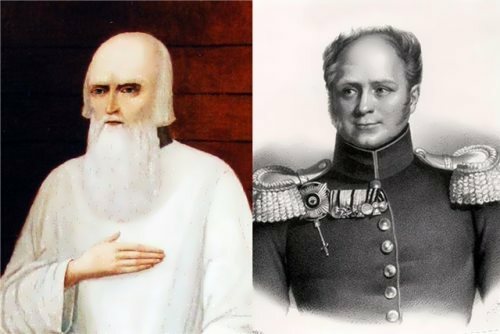 Mikhail Porechenkov and Khabensky starred in the multi-part mystical film Heavenly Court. For the main role in the film The Geographer Drank His Globe Away the actor received the Best Actor Award. The same award he got for his role in the film Collector. By the way, he was the only actor on the screen. 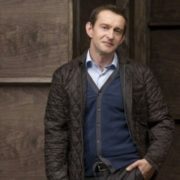 In the TV series Method Khabensky performed the role of genius investigator Rodion Meglin. 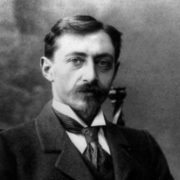 The producers of the multi-series film were Alexander Tsekalo and Konstantin Ernst. 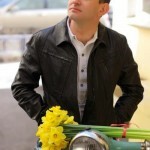 Today Khabensky is one of the most popular actors of our time. In 2017, Khabensky and Yevgeny Mironov starred in the film Spacewalker. Cosmonaut Alexei Leonov, the main character of the film, was a consultant on the set of the movie. Leonov’s role was played by Mironov, and Khabensky played another famous pilot-cosmonaut Pavel Belyaev. 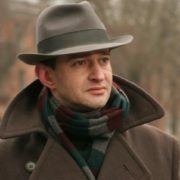 Then Khabensky played the role of Lev Davidovich Trotsky in the multi-series film Trotsky. But the most important event of 2018 can be considered the upcoming release of the military film Sobibor. This is the debut project of Konstantin as a director. He invited Christopher Lambert, Maria Kozhevnikova, Mikhalina Olshansky, Gela Meskhi and others to play in his film. 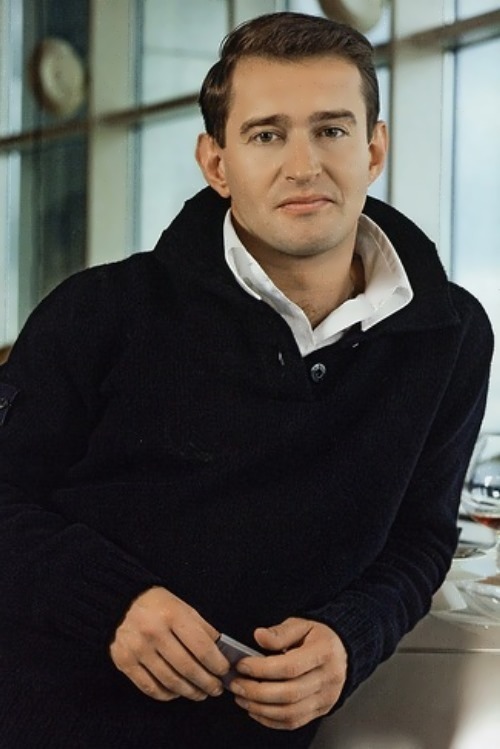 Khabensky met his first love Anastasia Rezunkova in December 1988, she was 15 years old and he was 16. They both came to the Youth Theatre Saturday. They were together for three years. “At first I didn’t like Kostya”, says Anastasia. “He was a long haired boy with a rat on his shoulder”. 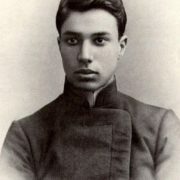 While studying at the Institute Konstantin was in love with Tatiana Polonskaya. 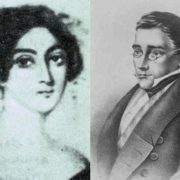 Khabensky wanted to marry her, but the girl refused. On January 12, 2000 Khabensky married journalist Anastasia Smirnova, who starred in Lines of Destiny (2003), TV series Uboinaya Sila, Sapiens (2004), 9 months (2006). Anastasia gave birth to their son Ivan on September 25, 2007. Soon after his birth, 34-year-old actor’s wife was diagnosed with a brain tumor. 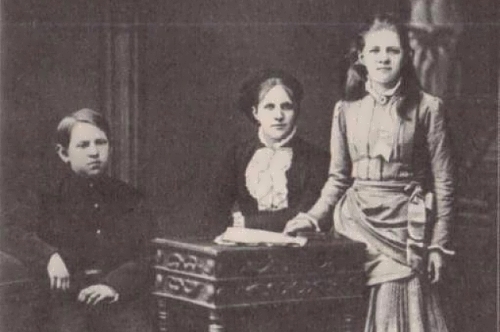 She was operated and then Konstantin moved her into one of the American clinics. Doctors believed that Anastasia would live more than 10 years, but on December 1, 2008, after a year of treatment, she died. The actor opened a charity fund in 2008, which helps children with brain diseases. 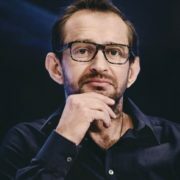 In summer 2013 Khabensky married actress Olga Litvinova. On June 3, 2016, their daughter Alexandra was born.